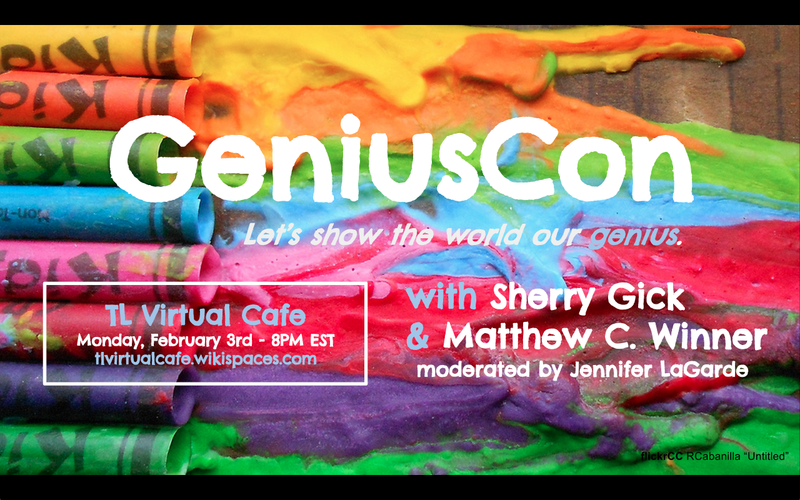 and now you can join Matthew Winner and I on TL Virtual Cafe, this Monday night, February 3 at 8 pm EST as we explain more about how to join in this project with your students. 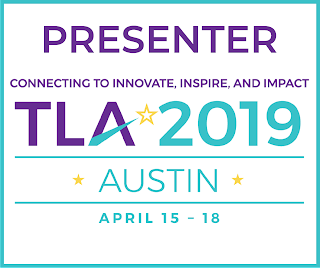 It doesn't matter if you're a classroom teacher, school librarian, administrator, or just someone who knows that kids really are geniuses -- everyone is welcome! You can watch in your pj's. You'll be able to ask us questions in real time. I'm excited and nervous, but know that our vision and project is one that could make a huge impact in your 2014 school year for you and your students. 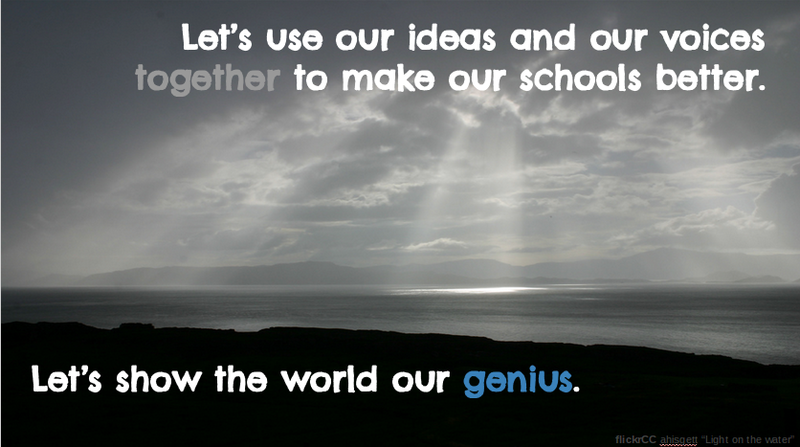 Let's make 2014 the year of the genius. I am very curious about what Genius Con is! Where can I find more information. I'm an instructional technologist in Texas and looking for more Genius Hour opportunities for students. Hi Kasey! Follow along at http://tinyurl.com/geniuscon & feel free to tweet Matthew & I for more information.